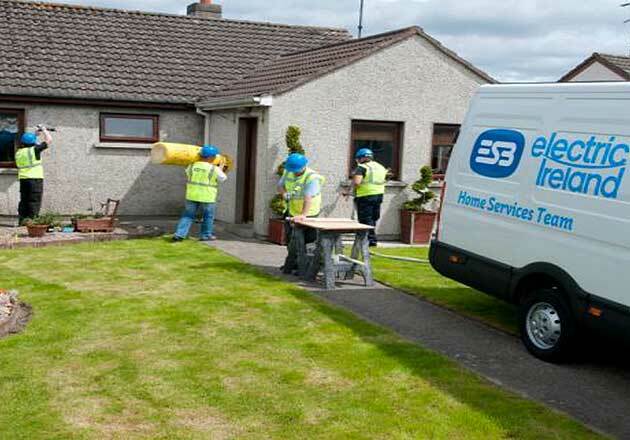 Bayview Contracts have recently delivered the largest single home energy retrofit project ever completed in Ireland. The project which cost €3.3 million focused upon the energy refurbishment of over 500 homes within the Cox’s Demense area of Dundalk. This project which was delivered through a partnership involving SEAI, Electric Ireland, Dundalk Town Council and Bayview Contracts is seen a blue-print for future community / area based projects across Ireland. As well as delivering much needed energy efficiency measures within privately owned and public owned properties, the project focused upon assessing the impact of fuel poverty within these homes and measured the long term benefit of the interventions. Bayview were responsible for managing and delivering all aspects of this project including project design, tenant communication and liaison, developing works specifications, system design and costing, energy assessments, selections of measures, installation, Quality Assurance and undertook the role of PSCS. A key aspect of the early intervention was to ensure effective communication with all tenants, homeowners and community representatives. To facilitate this Bayview appointed a number of Tenant Liaison Officers who managed the communication process, initially through a series of public consultation meetings held in the local Clan na Gael GAA Club and then through ongoing discussions on a daily basis within each of the housing estates. As the fundamental aid of the project was to maximize the potential energy savings at an optimum cost, Bayview completed a detailed technical assessment within every property (including the completion of a BER assessment) and designed a menu of home energy retrofit measures bespoke to each property. Upon completion of a detailed job costing and project delivery plan, Bayview completed the installation of a suite of measures including the installation of high efficiency gas and oil boilers, zoned heating controls (with remote access controllers), solar thermal systems, attic insulation, cavity insulation, internal insulation, windows & doors, CFL’s and draught-proofing. As a flagship pilot project, the Health and Safety Authority (HSA) also used this project as an opportunity to assess H&S best practice within a building retrofit scenario. Following several site visits and assessments the HSA reported that the H&S systems and processes implemented by Bayview were well in excess of what they would have expected within a project of this nature and highly commended the approach taken. To ensure that all tenants and homeowners had the knowledge and understanding required to maximise the benefits of the interventions, the Bayview Tenant Liaison Officers completed a series of education programmes focused upon providing clear and concise instructions on all measures completed. Upon finalisation of the project Bayview completed post works BER assessments in all properties, thereby proving the opportunity to calculate the precise energy savings (kwH) across the entire project. In delivering the largest single retrofit project ever completed in Ireland, Bayview were successful in delivering the project on time, within budget and completed all works without a single H&S or environmental incident. Click here to see the presentation from Electric Ireland detailing the approach taken within the Aisling Park and Patrick Tierney Crescent phase of the project.